A stranded sea lion pup nicknamed “Rubbish” was walking along a San Francisco sidewalk Thursday morning in what marine mammal rescuers fear could be the “new normal” of a warming Pacific Ocean. 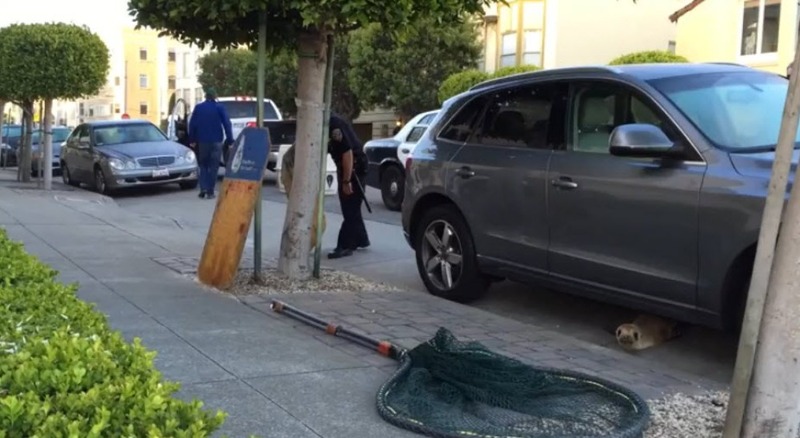 The pup was seen waddling about in the Marina District along Divisadero Street before someone spotted the unusual sight and called it in about 7 a.m., according to Laura Sherr, a spokeswoman for the center. Sherr said the male pup was captured by net, put into a doggie-style crate and was whisked off for follow-up care at The Marine Mammal Center in Sausalito. 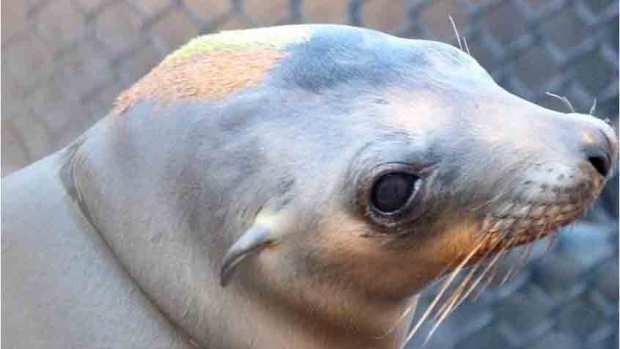 Rubbish is one of 1,800 or more California sea lion pups that have been stranded along the coast of California in the first four months of 2015 year because of a drastically warming ocean and a dwindling food supply, according to a March study released by the National Oceanic and Atmospheric Administration. Johnson also immediately recognized Rubbish: The sea lion had previously been rescued by the Santa Barbara Marine Mammal Center in February and brought to The Marine Mammal Center for care. At the time, Rubbish was eight months old and weighed 30 pounds when he was rescued. He was treated for pneumonia and malnutrition and was released March 23 at Point Reyes National Seashore. Johnson and his colleagues are concerned that if warmer waters along the coast persist, the sea lion “crisis” will continue. He urged the world’s leaders to address the three primary stressors to our ocean environment: overfishing, pollution and global warming. The Marine Mammal Center is the world’s largest rehabilitation facility for marine mammals. As of Monday, the center has responded to 927 California sea lions and currently has 122 sea lions in its care. The center says it has successfully released 159 healthy California sea lions back to the wild since Jan. 1.